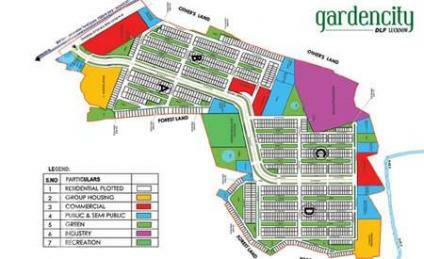 Dear Sir, DLF has soft launched Commercial Plots in its large township Garden City, Lucknow. Pls call us at 097117 59357, to book one. Few Plots of 30 Sq Yds are also available – Costing Rs.11 Lacs to Rs.13 Lacs, Al Inclusive. These are subject to availability and are Exclusively under-written by BookNewFlat.com Pvt Ltd. This will be like Galleria shopping Complex in DLF Phase IV, Gurgaon. It makes senses to buy these plots due to following attractive reasons: · Small Investment with HIGH Expected Returns · Plots of 55 Sq Yds & Few Plots of 33 Sq Yds · Over 1050 Residential Plots Already Sold and Possession happening soon · The Only World Class Township in and Around Lucknow · Located on NH-24B – Connecting Allahabad via Raebareley · Payment over 21 Months in Instalments · Good Expected Rentals after few years · A Plot is always considered best Investment · Suitable for Doctors, Real Estate Consultants, Grocery Shops, ATMs and other such small businesses · Other relatively newer townships like Indira Nagar & Gomti Nagar – These are fully built and Occupied · All Commercial complexes with-in townships get captive customers – Most do thriving business · Its a small investment very good for medium to long term for exceptional expected returns · Possession of residential Plots in this township will start in mid of current year – 2014 .Pls call us at 099998 30092, to book one. Booking Amount Rs.3 Lacs – in favour of DLF Limited Escrow A/c – 017705006858 Key Distances S.No. Distance Location 1 12 KMS Airport 2 17.5 KMS Hazratganj (C.B.D) 3 15 KMS Railway Station 4 05 KMS SGPGI 5 07 KMS Amar Shaheed Path Inline image 1 Please feel free to call 97117 59357 undersigned for submitting the expression of Interest – This is Limited Period offer, so please RUSH immediately. Call me at: 9711759560.